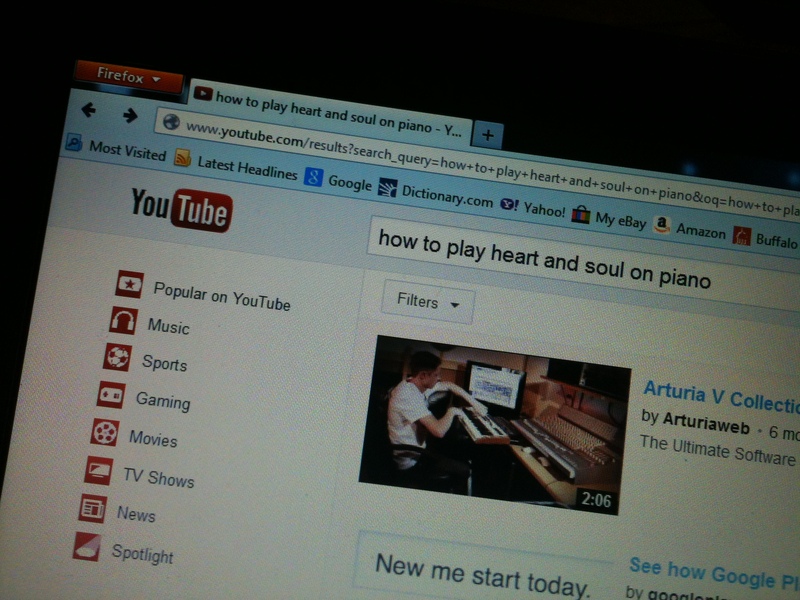 YouTube is giving many aspiring pianists the ability to learn popular songs by rote. Without a doubt, many beginning students learn easily through imitation. When a song is learned this way, I believe it should be celebrated! An accurate, fluid performance is an accomplishment. However, I heartily believe that the learning should not stop there. A budding musician who is successfully learning songs by rote is in a perfect position to deepen understanding and speed progress. Here are a few ideas for looking a little closer at the songs you play. Feel free to ask a musical friend or mentor to help you with any of these steps. Identify the key and meter of the song. Learn the names of the chords. Then, create a chord chart or find one online in the same key. Break down the song into smaller chunks. Identify the sections such as the introduction, verse, chorus, bridge, and any other unique moments. Look for chord patterns. Perhaps there are four chords that repeat over and over during the verse. Determine the role of the piano part in the song. Is it mostly a chordal accompaniment or are there fills, too? Test your understanding by re-arranging the song. Play the sections in a different order, for example, or repeat a line of the song. When you are secure with the key, meter and chord patterns of the song, try some rhythmic, melodic or harmonic improvisation. For example, throw in a surprise accent. Play a chord in a different inversion. Create your own fill. Record yourself playing the song, in its original form and with your variations. Listening back will make you more aware of what you do well and what might need further improvement. It would be helpful to get feedback from others you trust as well. Your child is taking music lessons, but it seems like she never practices. You think, “why am I paying for all of this?” Before you give up, here are some ideas for supporting your children toward a positive, productive musical adventure . Call it play instead of practice. Asking, “Why don’t you play that new song for me?” is more inviting than “Why haven’t you practiced yet?” The word “practice” conjures up notions of routine work, while the word “play” suggests exploring, creating and experimenting. Have a sensible routine. After school, many things compete for your child’s time and attention: sports, friends, and video games as well as family, homework and school events. If after-school hours are tight, maybe the best time to “play” music each day is in the morning before school or on weekends. Do what works for your family. Remember that a little time is better than no time. Even if there are only five or ten minutes available, there can be time to play a few songs or scales. Keeping the instrument and music books set up in a convenient spot can make a quick rehearsal possible. Consider your child’s maturity. While one child might be able to maximize 10 minutes of playing time, another might get very little done in a half-an-hour session. At every age and for every child, the level of focus varies. The best approach is to encourage quality over quantity! Playing well for a few minutes trumps aimless, half-hearted effort for twenty minutes. Use a reward system. Help children manage their time by providing special incentives. If a child resists learning new songs, for example, but loves to play familiar songs or have an audience, you can set up a reward system that encourages him to persist. Set a timer for five to ten minutes where the child must work on new songs. Then the next five to ten minutes let him give a “concert” where he can play any and all of his favorite songs. Hire the right teacher. If your child is having a very negative experience, it may just be that the teacher, although qualified, is not the right person to teach your child. Don’t hesitate to try a different teacher whose style of teaching more closely matches the way your child learns.